To place your order click on the Add to Cart button to the right of the item that you want to order. A new Secure PayPal window will open where you can select the Quantity that you want to purchase. You may review your shopping cart and Add or Remove items at anytime prior to check-out. Click on Check-out when you are ready to complete your order. When prompted enter you Billing & Shipping Addresses and your Credit Card or ATM information. Found throughout the central nervous system (CNS) metabolism, offering a source of acetyl groups for the synthesis of acetylcholine, an important neurotransmitter, and thereby supporting healthy brain function. Specific blend of vitamins, minerals, amino acids and important nutritional synergist to support healthy adrenal function. Take two (2) tablets each day as a daily supplement or as directed by your healthcare practitioner. Accidential overdose of iron-containing products is a leading cause of poisoning in children under6. Keep this product out of reach of children. In case of accidental overdose, call a doctor or poison control center immediatiely. Store in a cool dry area. 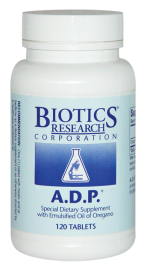 Adaptogenic formation designed to support normal cortisol levels. 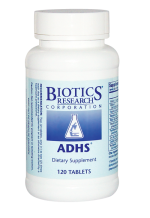 ADHS contains no glandular material and is appropriate for vegetarians. Two (2) tablets one (10 to Two (2) times each day as a dietary supplement or as directed by your healthcare practitioner. 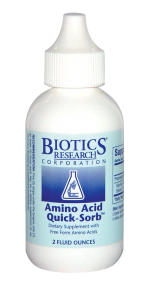 Liquid supplement supplying nine free form L-amino acids which provide a stabilizing effect. Support for normal, healthy blood glucose levels that are already within a normal range. Five (5) drops under the tongue, one (1) to three (3) times each day as a dietary supplement zumba or as directed by your healthcare practitioner. A broad spectrum amino acid formulation. Useful for bodybuilding and as specific support for rehabilitation protocols. Take three (3) capsules tow (2) to four (4) times daily as a dietary supplement or as directed by your healthcare practitioner. Liquid magnesium chloride supplement supplying 200 mg of magnesium per teaspoon. One (1) teaspoon each day as a dietary supplement or as otherwise directed by a healthcare professional. Caution: Use only as recommended. Magnesium chloride is generally well tolerated. Most side effects are due to toxicity (hypermagnesemia). Mild hypermagnesemia is generally well tolerated, but severe hypermagnesemia can affect the nervous and cardiovascular system. Therefore, magnesium chloride may be contraindicated in patients with renal impairment or marked myocardial disease. Source of supplemental chromium in a liquid form, with each drop supplying 150 mcg of elemental chromium, an essential trace mineral important in carbohydrate metabolism. One (1) drop each day as a dietary supplement or as directed by your healthcare practitioner. Suitable for those adults and children having difficulty swallowing pills and capsules, Aqueous Multi-Plus™ is a great tasting, easy to take, liquid multiple vitamin/mineral supplement. One serving: 15ml (1 tbsp.) for adults and children 4 or more years of age and one-half serving (1/2 tbsp.) for shildren under 4 years of age each day as a dietary supplement or as directed by your healthcare practitioner. Store in a cool dry area away from direct light. Source of supplemental selenium in a liquid form, with each drop supplying 95 mcg of elemental selenium, an essential trace mineral providing anti-oxidant activity. Selenium is key to the production of glutathione peroxidases. Designed to provide specific support for normal kidney and bladder function. Unique blend of botanicals, amino acids, enzymes, vitamins, mineral and organ specific support. An all natural, patented formula clinically shown to augment testosterone levels in men. Testosterone plays critical roles in men's health, including cardiovascular health. Unfortunately, testosterone levels decline with age. Recommendations: One (1) capsule twice daily as a supplement or as otherwise directed by a healthcare professional. Caution: Not recommended for pregnant or lactating women, women with a history of breast cancer or other hormone related cancers, men with elevated PSA, men with a history of prostate cancer or those subject to testing for anabolic aids. Sealed with an imprinted safety seal for your protection. Pleasant tasting, each lozenge supplies high potency levels of vitamins B12, folic acid and B6. Each is important in a wide range functions, and the status of each impacted by a number of pharmaceutical compound. B12-2000™ Lozenges are especially important for women who are pregnant or who are wishing to become pregnant. Used as a tonic, to support the normal conversion of iron to hemoglobin and to support healthy female hormone production. Recommendations: One (1) capsule three (3) times each day as a dietary suppleent or as otherwise directed by a healthcare professional. 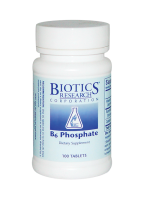 Biologically active form of vitamin B6, combined with superoxide dismutase (SOD) and catalase, important antioxidant enzymes. Vitamins B6 is important for proper immune function, metabolism, and cardiovascular health (necessary for healthy homocysteine levels). Vitamin B6 status can be impacted by a wide range of pharmaceutical compounds. Recommendations: One (1) tablet one (1) to three (3) times each day as a dietary supplement or as otherwise directed by a healthcare professional. 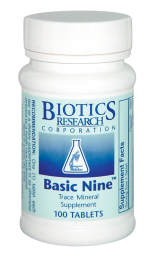 Source of phytochemically bound trace minerals, with antioxidant enzymes SOD and catalase. Recommendations: One (1) tablet each day as a dietary supplement or as otherwise directed by a healthcare professional. Source of bile salts, digestive enzymes and organic beet concentrate with SOD and catalase. Consider whenever the gallbladder has been removed or the need for supplemental bile salts is indicated. One tablet daily or as directed by your healthcare practitioner. DISCLAIMER: The statements enclosed herein have not been evaluated by the Food and Drug Administration. The products and information mentioned on this site are not intended to diagnose, treat, cure, or prevent any disease. Information and statements made are for education purposes and are not intended to replace the advice of your treating doctor. WebLAc does not dispense medical advice, prescribe, or diagnose illness. We design and recommend individual nutritional programs and supplements that allow the body to rebuild and heal itself. The views and nutritional advice expressed by WebLAc are not intended to be a substitute for conventional medical service. If you have a severe medical condition, see your physician of choice. This web site contains links to web sites operated by other parties. Such links are provided for your convenience and reference only. We are not responsible for the content or products of any linked site or any link contained in a linked site. 4. We will refund 85% of the cost of the items less shipping charges.